Newest addition , Piña Colada! Piña Colada cheesecake cupcake, with a brown butter crust. 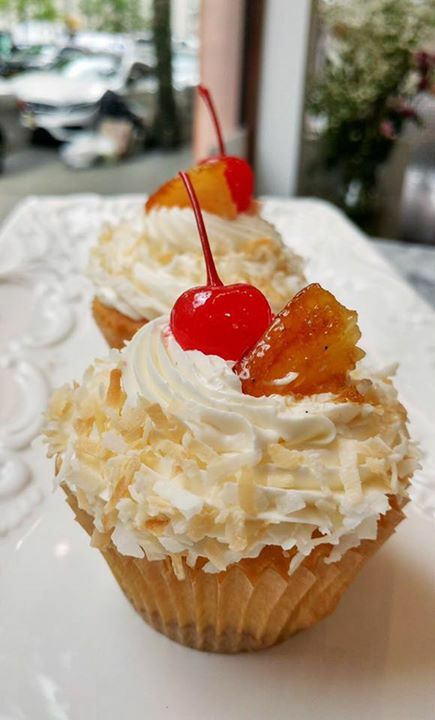 Topped with a coconut rum buttercream, toasted coconut, grilled pineapple and a maraschino cherry. Posted on May 8, 2017 By Huascar & Co.